When we went in for our 9 month appointment our pediatrician talked to us about getting rid of the bottle by the time Cora turned 1. Not that she pressured us about it but did help us understand how much more difficult it will be after age 1. Quite frankly, I was totally on board with the idea because the sooner we can be done with that hassle, the better. That being said, I struggled with taking away the bottle when she was struggling so much with eating food. I was looking more at making sure she was still getting the nutrients she needed and getting her tummy full. So I started with that, getting better at the food thing and that has been consuming our time the past two months instead. With her two little teeth, we are finally getting to a better place with real and jar food. Cora has been using a sippy since she was 5 months old but it has never been something we forced. Mainly just at the high chair. She has also been drinking her bottle on her own for a couple of months now. Sometimes she will sit on our laps and drink it or lay on the floor with it. We rock her with it before each nap and before bed. I will say neither are things we let her go to bed with, walk around with or hold onto for comfort which I think has only helped us. After all of my Google research (fail), I realized we finally just had to jump into ditching the bottle because like most things, I think it is the parents that make something harder, not the kids. I know it is easier for me to hand her a bottle, when we are out and about, than finding her a snack, that she will actually eat, and that won’t require a bath directly afterwards. Parenting fail but parenting truth. So over the weekend we I went for it. No bottles unless she was going to sleep. Cold turkey, just like that. If you ask how many bottles she has a day, I don’t know…a lot. Because she would only have about 3oz at a time. She definitely goes through more at daycare because provider fail, kinda like parenting fail, it was easier for the provider to toss a bottle her way. Let me tell you, easy as pie. If she wanted a bottle, she got her Nuk sippy with milk. I could tell she treasured those nap time bottles a little more because she was more cuddly and drank them dry. So we are down to three 4oz bottles during the day. (2 nap bottles and 1 at bedtime.) That is, until I dropped her at daycare this morning with explicit instructions, loads of snacks, extra sippy’s and a good pep talk. She looked scared…the provider, not Cora. It could all be going to hell as we speak. As she hit the 11 month mark today (and with the recommendation from our pediatrician) we will also start, slowly, transitioning her to whole milk. I want to be completely off formula by the first birthday. 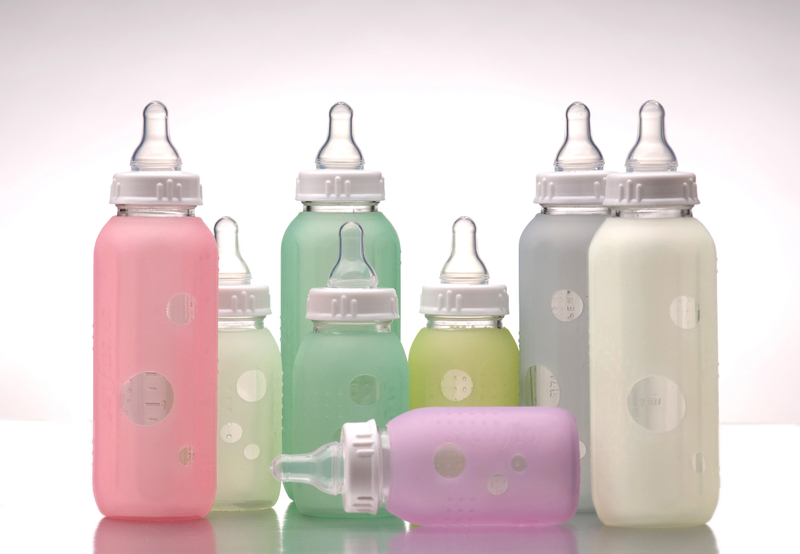 Our next goal is getting rid of the nap bottles and then we will move on to the night wakings and bottles. I know that is going to be a tougher hurdle. She still wakes 1-2 times a night and has a bottle both times. I feel like month 11 is one huge transition for us but I really don’t want to rush her. If she isn’t ready for something, I don’t want to push it. I am not trying to rush her into growing up or not being a baby because she is still a baby. A baby I can still cuddle at night and let her lay curled against me, sound asleep after that bottle. That can’t be wished away because that will be gone soon as well. What recommendations do you have for kicking night feedings and kicking the bottle? What worked and didn’t work for you mamma? What Did I Do Before Baby? I did very similar with both kids. Makenzie kicked the bottle herself at 10 months because she always hated them. She still nursed once she woke up and I stopped that once she hit 1 year by giving her milk in her sippy and some cheerios or something right when she woke up. After she had been up for an hour then I would make her a bigger breakfast. Eggs w/ cheese, pancakes, waffles, etc. She self weaned the before bed nursing session around 14 months. The nursing before nap habit for us was relatively easy for both kids and is much easier when you are down to one nap since more than likely they will go down right after lunch. But for us, I have Brian put Brady down instead of me and he goes right to sleep. We also kicked the bottles during the day at daycare just this last week which is awesome. He was taking one before his morning nap at 9:30 and then one before the afternoon nap at 1:15 but they said he never really was looking for it until he saw it. Around 10.5 months old we started a little bit of whole milk mixed with breastmilk and now on the weekends I’ll do the same. Occasionally I will offer just whole milk in a sippy. I would just have daycare offer a sippy throughout the day during breakfast, snacks, and lunch. I have no idea what to tell you on the middle of the night feedings though. We were able to drop those pretty early on but I wish you good luck! Can your hubby go in there and try to get her back to sleep? I know you mentioned having her eat food can be a struggle from time to time too so maybe she is hungry but for your sake and hers, having her sleep all night would be fabulous! Good luck mama! As far as night goes, my hubby does go in and give her a bottle at nights from time to time as well. So it really doesn’t matter who does it. I do think part of her is hungry and that is why I am not so quick to give up the middle of the night bottles yet. Thanks for the input!! I should add, if I try to put Brady down for a nap, he tugs at my shirt because he wants milk. But he goes down just fine for me at night. He’s sort of a stinker…. I need help in this department!!! Our son simply cannot figure out the sippy cup for the life of him – I think we’ve tried every single brand on the market. So, we are taking a break and going to try again in a few weeks. Hopefully one of these days his brain figures it out. I am excited to read how you cut out the night feedings and cut the night bottle because i know we are eventually going to have this same struggle. Oh no! We have used the Nuk ones with no problem. I tried a Tom Tipee and she hated those. We also have a few gerber ones that she is hit or miss on. I bet taking a break will help you out a bit. I had to do that with the food. Sometimes I think she just felt my frustration and once we all took a step back it helped. I’ll keep you updated on the night bottles! I know all babies and situations are different, but it’s nice to have different points of view to reference, I hope you find it helpful! Thanks for the link! I will check it out! Stuff like this is so different from kid to kid but if I can take a few things away from it, it sure helps! H is not remotely interested in drinking out of sippy cups. I have a basket in our cupboard that has about 8 different brands of sippy cups in it and all have been big fails. Each week I pull a different one out for him to try again and he’s still not interested. So we are having a hard time convincing him to drink water from a sippy. He isn’t too interested in whole milk yet either so I’m currently combining about 3/4 milk and 1/4 formula in his bottle. We are worried he isn’t getting enough fluids during the day because he decided at daycare that he doesn’t want a bottle before his nap, and he barely touches the Camelback brand water bottle we send with him every day. but on weekends when he’s at home he has 2 bottles during the day and 1 right before bed. I like the bedtime one because it gives me the chance to snuggle him for as long as it takes him to drink it. He doesn’t fall asleep on the bottle or on my lap as we worked hard to keep him awake while having his bedtime bottle so we could get him to teach himself how to fall asleep without the bottle or rocking. He now gets laid down in his crib after having his bottle and he’s wide awake. Sometimes he will roll around and play with his soother and chat and then eventually fall asleep on his own. Sometimes he crashes hard a minute after he’s in his crib. I know I will have to kick the bedtime bottle in the near future, so I’m likely going to split the formula/milk combo into a sippy cup and bottle. Get him to drink from the sippy cup first and then I will give him the remaining amount in the bottle. Then slowly decrease the bottle amount and increase the sippy cup amount. It’s more dishes to do, but it’s the only way I see it working for us. 8 Sippy’s and no luck? Ah you poor thing! They certainly have their own mindset sometimes. And isn’t it crazy what they will do at daycare and not at home?! So frustrating. I’m with you on just enjoying the bedtime bottle and snuggle. Even at naptime it is a bottle and lays right down. She does the same thing, rolls around talking and eventually falls asleep. Thank God for that because SANITY. Haha. And yea, I think we are just going to slowly decrease the amount she has at that night waking. I know there is zero reason for her to be waking up at this point aside from habit. It probably won’t be as bad as I think once we actually do it. I think I’m going to wait till this weekend and give it a try. Always easier on the weekends:) Thanks for the advice! Have you tried a straw cup with water rather than a bottle or sippy? My daughter won’t drink from a sippy cup, but drinks excellently from a straw cup! We have the opposite problem thought – she is 9 months old and WONT take a bottle, only exclusively breastfed, which makes it impossible for me to leave her! Argh! I hope you have success with ditching the bottle, changing our routines with our babes is tough, I get it! Haha that is completely the truth. Every time I panic about something I have to tell myself…she won’t be going to high school doing xyz!